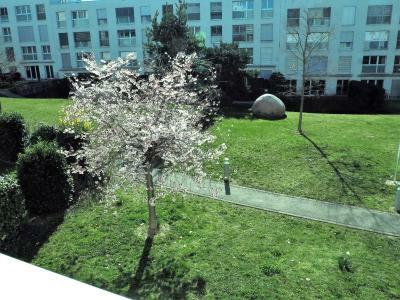 Lock in a great price for ibis Genève Petit Lancy – rated 8.2 by recent guests! Clean, small room with a window and air conditioning! Built in bathroom with shower. Perfect for a 2-Star hotel! Very decent pricing especially on weekends. I was staying in "ibis Genève Petit Lancy" hotel. I booked a room for two adults and one children. The room that was provided included only one double bed and no bed for child. I asked in reception to get a additional bed, but they told me that such rooms available only in "ibis budget Genève Petit-Lancy" and this is a problem or mistake that " booking.com" site allowed me to book a room with child, so I would like to get a full money refund for that we didn't get the conditions that we payd for. I loved the location, close to the train and really easy to navigate to/from. Overall, I really liked the hotel, as it is a hotel that what you see is what you get for the price. No surprises here, the room was clean, the bed was comfy and even better, the curtains were blackout, which helped for sleeping during the day because of jetlag. Lovely comfortable bed, the peace and quiet and view of the mountains. The staff were really helpful and accommodating. The hotel offers a Geneva bus pass for the duration of your stay. It makes it so easy to to travel around. 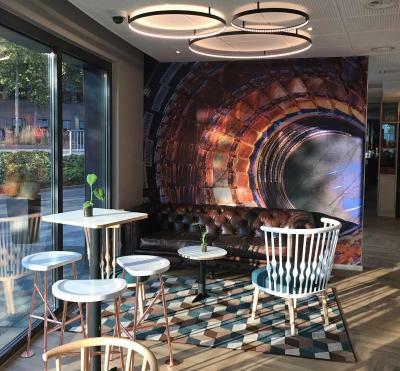 ibis Genève Petit Lancy This rating is a reflection of how the property compares to the industry standard when it comes to price, facilities and services available. It's based on a self-evaluation by the property. Use this rating to help choose your stay! Ibis Genève Petit Lancy is a 10-minute drive from Geneva Airport and the Old Town and a 15-minute drive from the Nations Quarter. 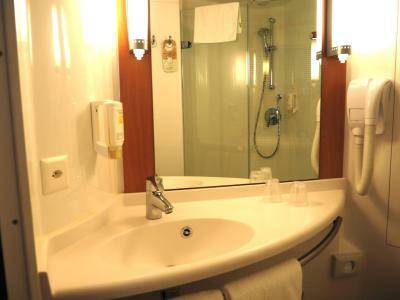 It offers soundproofed, air-conditioned rooms and free Wi-Fi in the entire hotel. The 24-hour bar invites you to unwind after a day of doing business or sightseeing. You can park your car right at the Ibis Petit Lancy and you enjoy free use of public transport in Geneva during your stay. 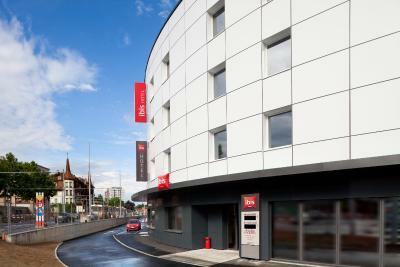 When would you like to stay at ibis Genève Petit Lancy? Modern, air-conditioned room with a flat-screen TV, hardwood floors, and a bathroom. 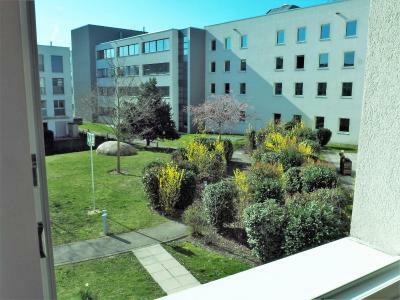 Public parking is available on site (reservation is not possible) and costs CHF 20 per day. This brand offers you the ultimate comfort: a new innovative bedding , a comfortable and well-equipped room, cosy and design welcome areas, a modern food & beverage offer and a 24/7 service. House Rules ibis Genève Petit Lancy takes special requests – add in the next step! ibis Genève Petit Lancy accepts these cards and reserves the right to temporarily hold an amount prior to arrival. If you use a navigation system, please enter "Le chemin des Pâquerettes 25", because the displayed address is new and might not be found by the system. Please note that if you book a nonrefundable rate, the credit card used for the reservation has to be presented upon check-in. Breakfast could have more choice. No coffee or tea facilities. Hotel charged more than the rate shown by Booking.com. When I pointed out the error (which they knew about, as they immediately quoted the correct rate), they brushed it off saying that 40SF was not much of a difference. Bar charges 8 Swiss francs for a large bottle of water. The going rate is closer to 2 francs The breakfast was 15SF. As a vegetarian I had a look before sitting down and paying for it. Good thing: except for one dish of cheese, all the rest were cold meats. I think they had cereal. Fruit? No fruit salad, jus a pile of apples, oranges and maybe bananas. Fifteen francs for that? Hardly! Bed and shower, clean, modern, fine. Transport to town was excellent, 20mn to town, but then urban Swiss transport is always excellent and Geneva is a small city. Could have been a teeny bit cheeper. Would have preferred to have breakfast included. The bedsheets are super soft. There’s amazing bread at breakfast. Breakfast was very basic . Location ! Very close to bus and tram station ! And have two supermarkets nearby ! Tea / coffee making facilities in the room would have been an advantage. Only a minor issue though! Very modern and trendy design to the hotel and the bar / lobby area was nice and relaxed. Rooms were very comfortable and had a great night's sleep. Staff were very approachable and friendly and nothing was too much trouble. The rate for the room. The location and receptiveness of the staff. There was not much option at or close to the hotel as regards to having lunch and dinner.